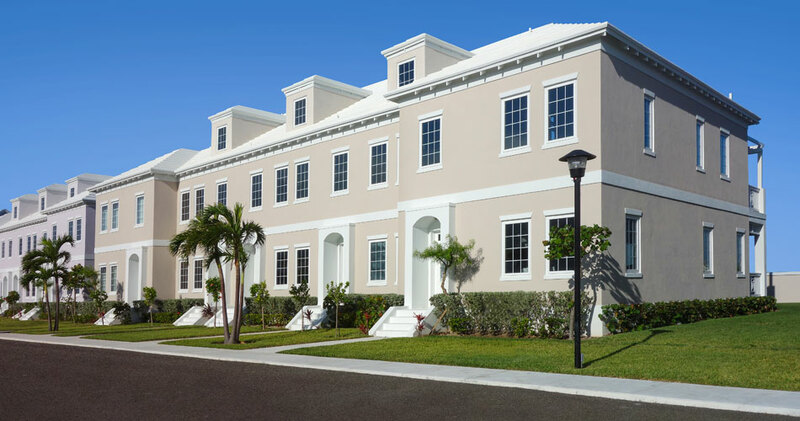 The Sandpiper Villa is a beach-front townhouse in a gated and child-friendly community located in New Providence, The Bahamas. 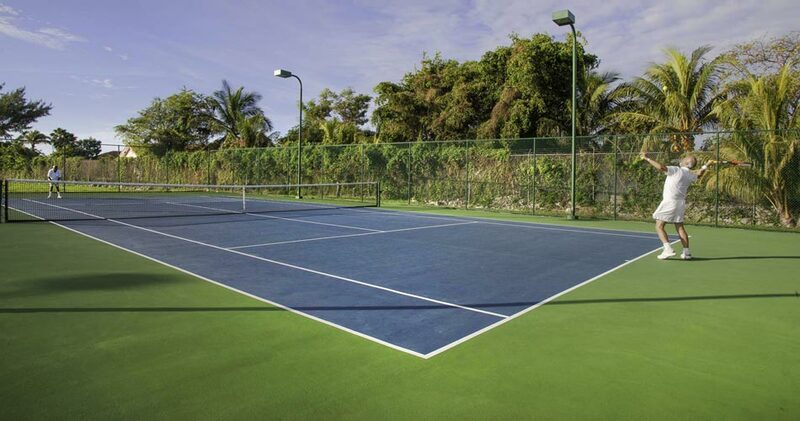 The community offers tennis courts, children’s playground and pools. 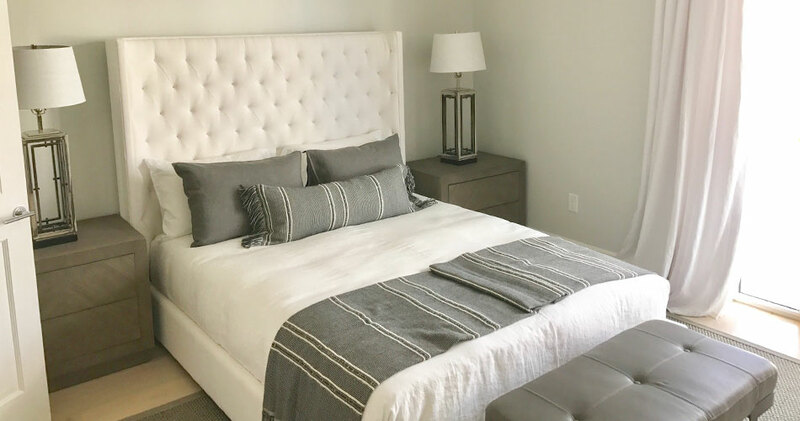 The luxurious townhouse style villa has 3 beautiful bedrooms with 2.5 bathrooms on 2 floors and will sleep 6. The comfortable villa provides the perfect destination for the vacation of a lifetime! 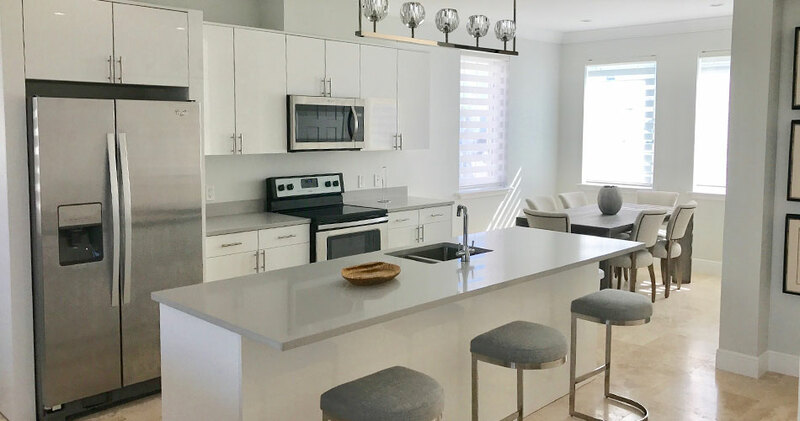 The home is 2,200 square foot on 2 floors of luxury offering several amenities that will make your stay more comfortable and pleasurable, including free wi-fi internet and a beautiful beach with snorkeling. 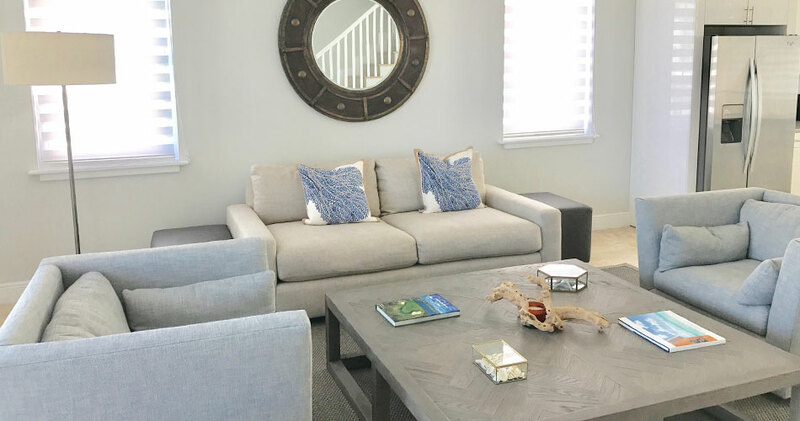 The gorgeous villa features tile floors downstairs and hand laid wood floors on the upper floor. 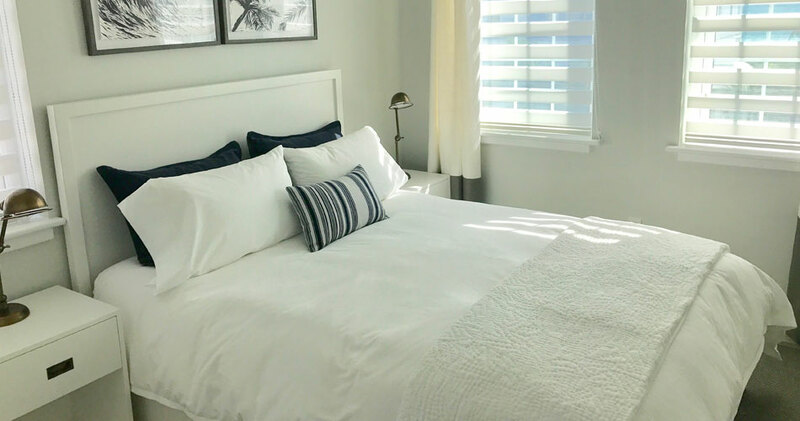 The Sandpiper Villa is air conditioned throughout with central ducted air conditioning on the ground floor and separately controlled AC systems in each bedroom. 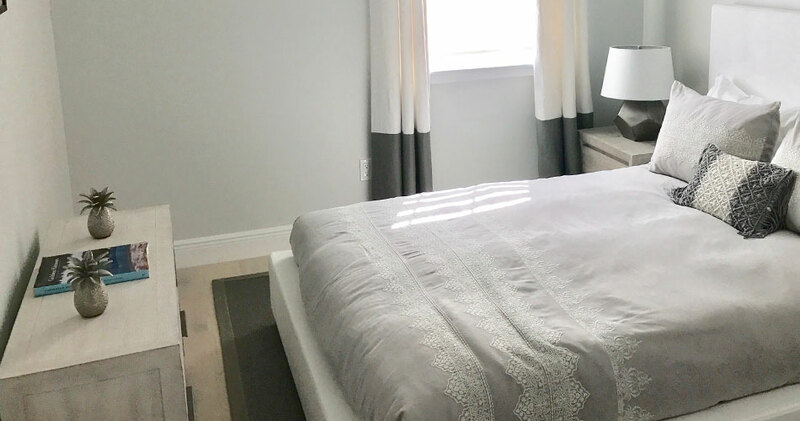 The master bedroom features a king size bed, lovely décor and an en-suite bathroom. 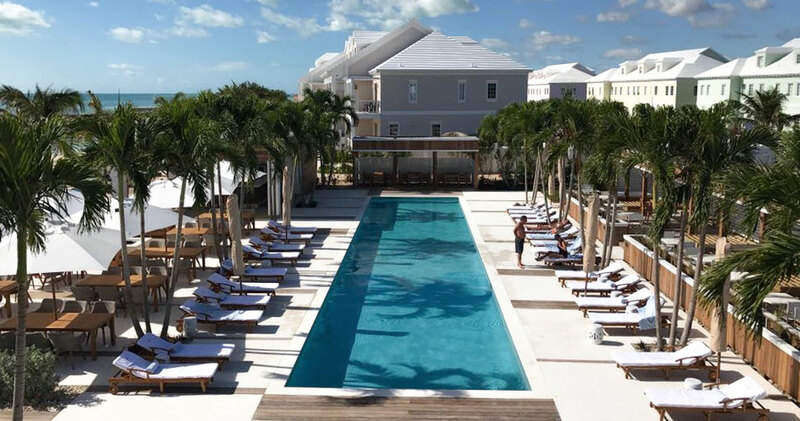 Step out to the balcony that looks over a beautiful pristine white sand beach and the famous Bahamian waters. 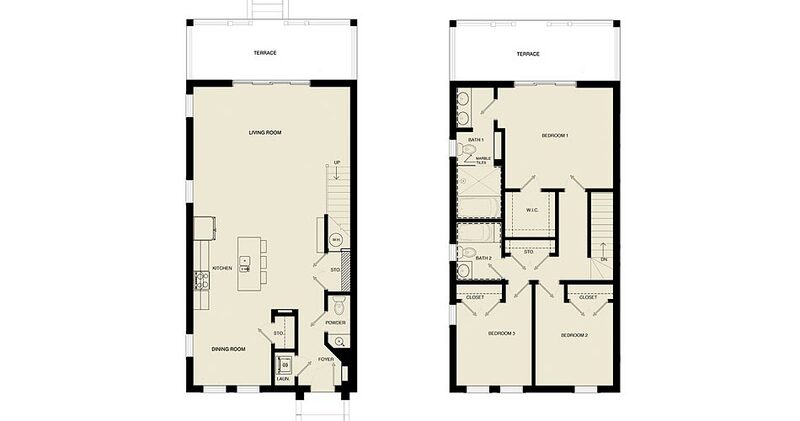 There is a second bedroom on the same level and is furnished with 2 single beds. 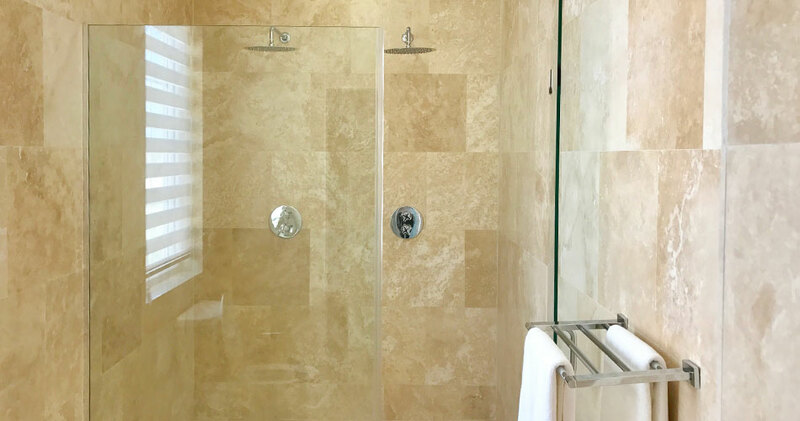 It shares a bathroom with a shower with bedroom 3. The third bedroom on the upper floor is furnished with a queen-sized beds and has an shared bathroom with a full bath an shower. The downstairs floor has a powder room. The living room is spacious and features very comfortable sofas, contemporary fittings, beautiful fabrics and tiled flooring. The entertainment system includes a large flat screen offering a wide range of cable tv channels, as well as internet, music. 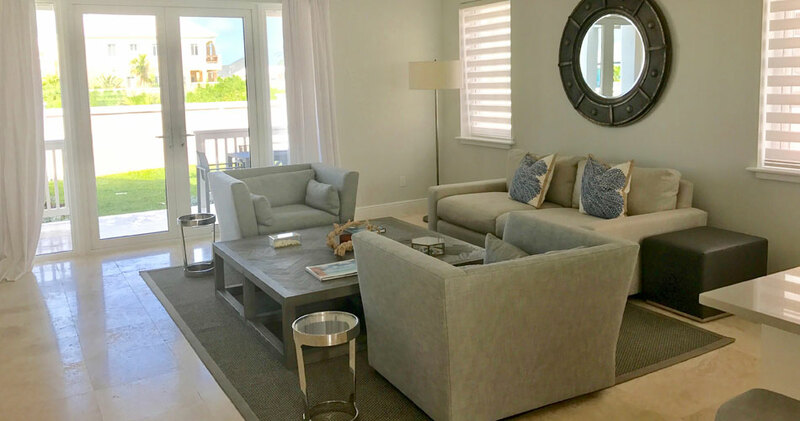 From this room you have an incredible view of the sea right outside your large glass sliding doors. It’s the view of the Caribbean that you always wanted. 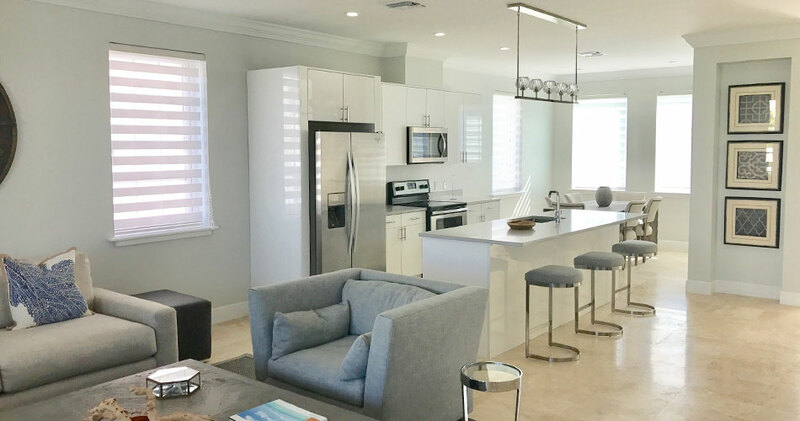 The kitchen at The Sandpiper Villa is fully-equipped with a refrigerator and all essential appliances, and has a fresh and bright look. There is also a laundry closet with washer and dryer. There are a number of games and activities in the home as well as some beach toys and pool floats for your use. And the WiFi is excellent. 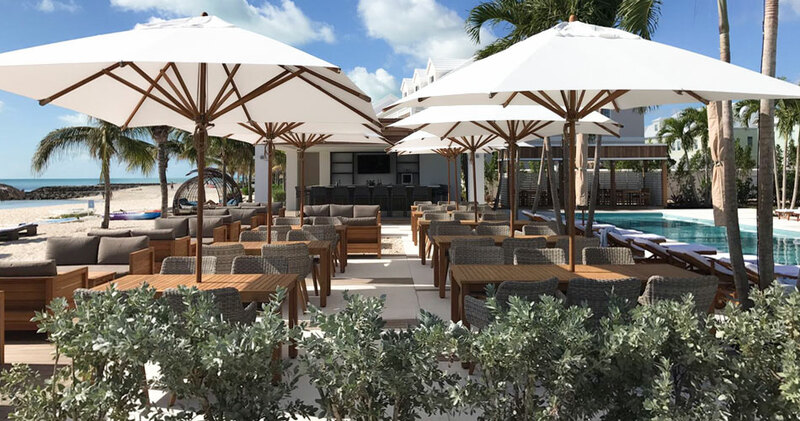 Guests at Palm Cay can simply take a short stroll to the clubhouse and enjoy meals or a drink. The clubhouse offers a fun music night of most Fridays and barbecue day on Sunday. Be sure to check with the club for further details or any additional activities. 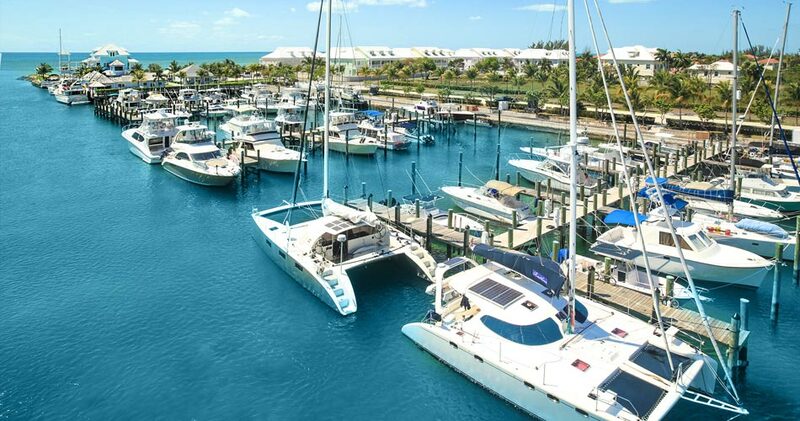 The world class marina in the complex offers several water-based activities, such as charter tours, boat rentals, snorkeling and more. There is a Dockside cafe where you can have Starbucks coffee and breakfast. The beach hut provides equipment hire and later in the day the Tiki Bar serves drinks directly into the beach. 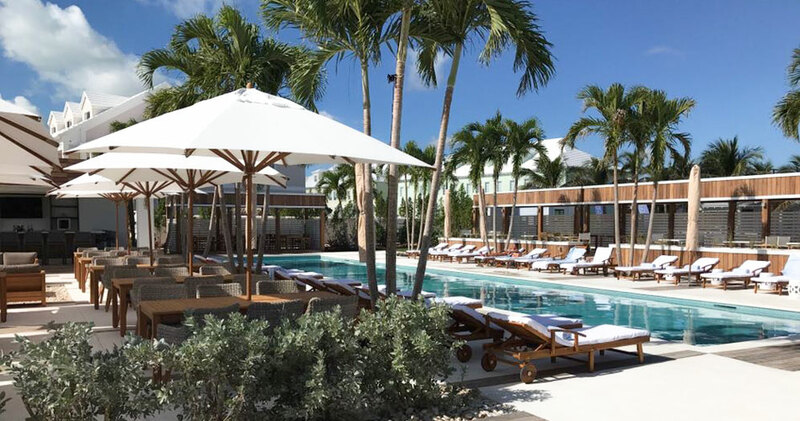 The Sandpiper Villa is only a 30 minute drive from Nassau’s international airport and a little over 10 minutes from downtown Nassau and Paradise Island. Arrangements for airport pick up to and from the airport can also be made for guests. 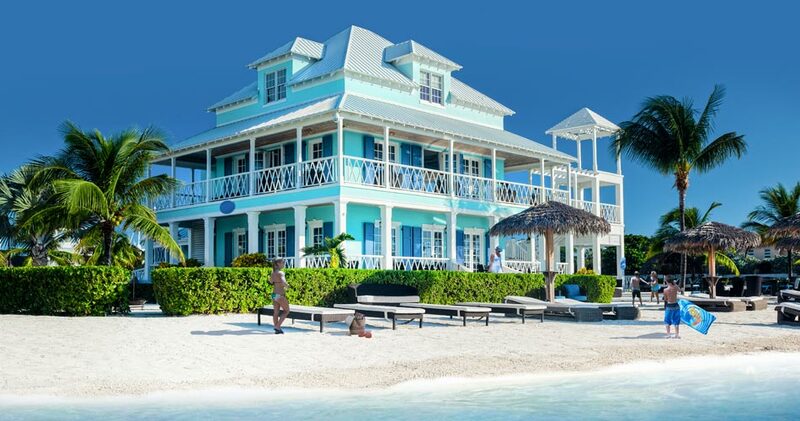 Renting a private villa in The Bahamas is amazing and you will be pleasantly surprised by our reasonable rates and quality accommodation. 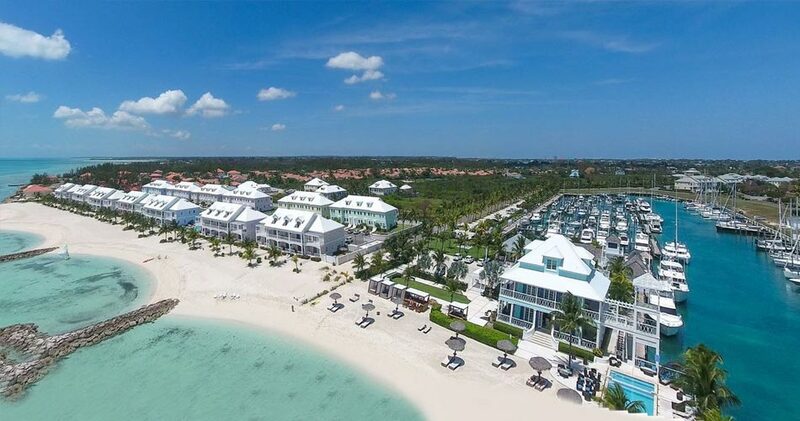 Amenities include an owner’s clubhouse with restaurant and bar, beautiful beach, tiki bar, a full-service deep water marina, swimming pools and tennis courts make Palm Cay one of the most desired gated communities in Eastern New Providence.